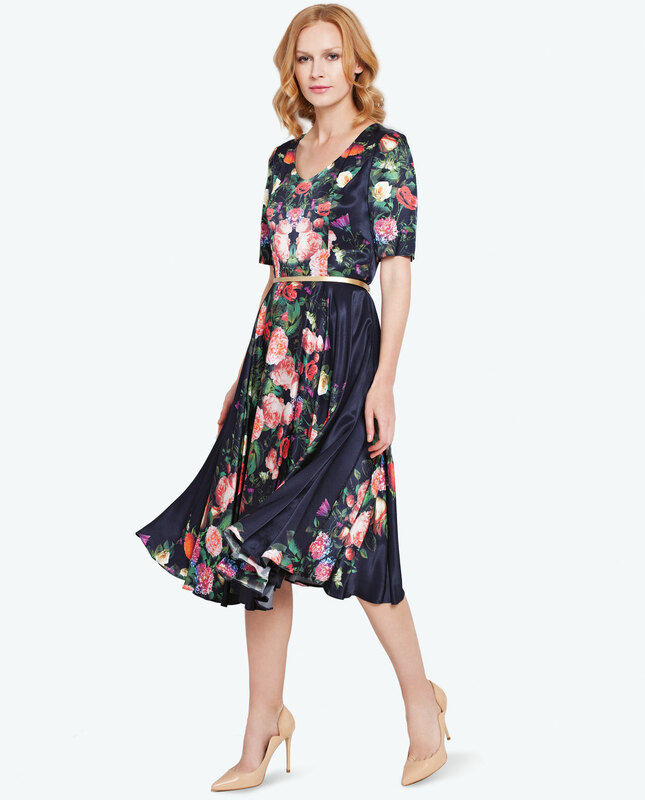 An elegant flowery dress with short sleeves. It is lined and features a scoop neckline. The dress is fastened with a hidden side zipper and being tight-waisted, the garment flatters the silhouette and gains a light character.